They are rooted in the quartet singing tradition and a capella harmonies from the turn of the last century. 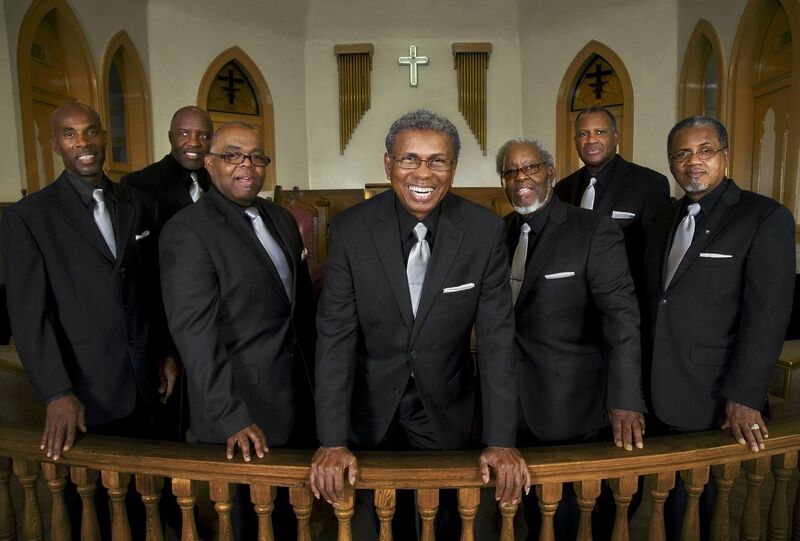 For more than 40 years, The Zion Harmonizers enjoyed an unparalleled platform at the New Orleans Jazz and Heritage Festival, anchoring and curating the Gospel Tent. The 2014 album was recorded at Marigny Recording Studio, located in the historic Luthjen’s Dance Hall, which just happens to be where Music Inside Out is produced. Bringing in the Sheaves was produced by Jason Rhein (American Routes, Music Inside Out) and Brazella Briscoe, and features Brazella’s brother, William Briscoe, Franklin Smith, Marion Chambers, Benjamin Francois and Luther G. Williams on vocals, backed by drummer Joseph Carter, guitarist William Walker, keyboardist Joseph Warrick, and Walter Hardy III on the B3 organ. 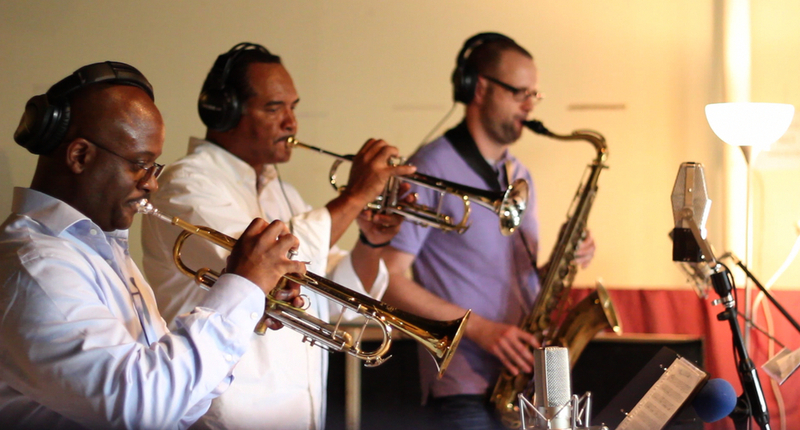 An excellent horn section adds New Orleans flavor with arrangements by the great trumpeter Wendell Brunious. He performs along with trumpeter Andre Ride and Christian Winther on tenor saxophone. The album is available on iTunes and at your local record store. But here’s a little taste: I’ll Rise Again. 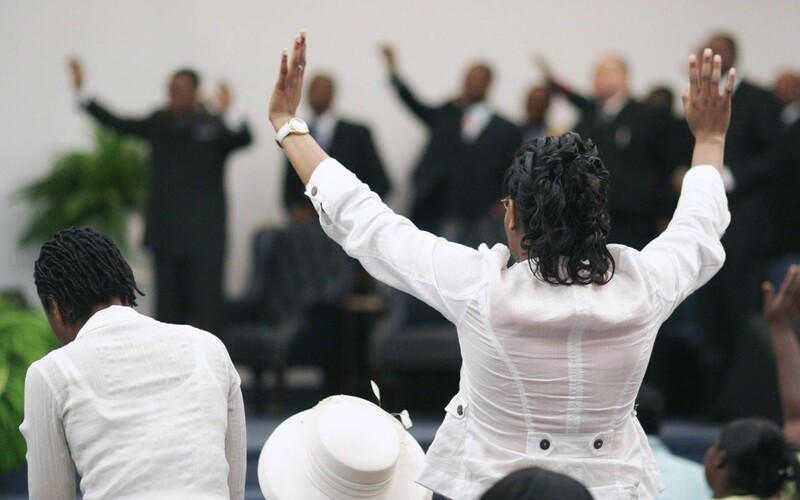 The Zion Harmonizers are not, of course, the only Gospel group in Louisiana. The state has a long and storied history of groups that sang — and sing — their hearts out for the greater glory of the Lord. Most of the first great jazz performers sang with secular or religious quartets, including Buddy Bolden, Jelly Roll Morton and Louis Armstrong. Morton and Armstrong both went on record about their experiences. First, I must explain how our quartet used to do its hustling so as to attract an audience. We began by walking down Rampart Street between Perdido and Gravier. The lead singer and the tenor walked together in front followed by the baritone and the bass. Singing at random we wandered through the streets until someone called to us to sing a few songs. Afterwards we would pass our hats and at the end of the night we would divvy up. Most of the time we would draw down a nice little taste. Then I would make a beeline for home and dump my share into mama’s lap. Little Mack, our lead singer, later became one of the best drummers in New Orleans. Big Nose Sidney was the bass. Redhead Happy Bolton was the baritone. Happy was also a drummer and the greatest showman of them all, as all the old-timers will tell you. As for me, I was the tenor. I used to put my hand behind my ear, and move my mouth from side to side and some beautiful notes would appear. Being young, I had a high voice and it stayed that way until I got out of the orphanage into which I was about to be thrown…. Jelly Roll Morton described his time singing in a quartet (and enjoying sandwiches) to the legendary folklorist and ethnomusicologist Alan Lomax. Those interviews took place in 1938. The Morton-Lomax interviews have been released by Rounder Records as Jelly Roll Morton: The Complete Library of Congress Recordings. 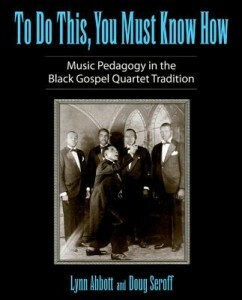 If you’re interested in learning more about the music, we can recommend a terrific new book by Lynn Abbott and Doug Seroff titled To Do This, You Must Know How: Music Pedagogy in the Black Gospel Quartet Tradition. 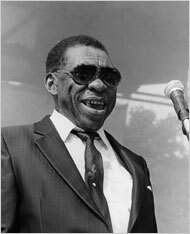 Abbott curates recorded sound at the Hogan Jazz Archive at Tulane, the leading research center for the study of New Orleans jazz and related musical genres, including New Orleans ragtime, gospel, blues, rhythm and blues, and Creole songs. Seroff is an independent scholar. 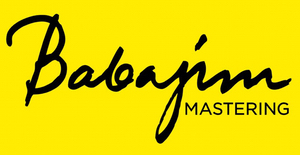 It’s published by the University Press of Mississippi. Track it down at your library or local bookstore.